Molykote P-1900 can be used to lubricate sliding surfaces and friction contacts exposed to heavy loads, especially at low to medium speeds. It has a low coefficient of friction, good water resistance and high load carrying capacity. It has a service temperature range of –30º to 300ºC. Molykote P-1900 also meets FDA regulations 21 CFR 178.3570 and NSF H1, making it ideal for use in food and beverage processing plants where incidental food contact may occur. For more than 60 years, customers around the world have trusted the MOLYKOTE brand for performance and expertise to solve or prevent virtually any lubrication problem and to save energy through Smart Lubrication™. As Dow Corning’s UK Channel Partner, RW Greeff provides a complete range of Molykote speciality lubricants with complimentary products from other world leading manufacturers. ISO 9001:2000 accredited, RW Greeff offers fast, reliable delivery to all areas of the UK & Ireland. The PAL series analyzers, when equipped with A2’s innovative TumblIR biodiesel sample interface, are now capable of measuring biodiesel concentrations in petrodiesel from as low as 0.025%, as required in certain applications such as the nuclear power industry, up to 20% (B20). By eliminating troublesome, hard-to-fill-and-clean transmission IR flow cells, PAL systems make low concentration biodiesel analysis fast, easy and reliable. No sample preparation is required, minimal training is needed and biodiesel results are provided on-site instantaneously. PAL analyzers, pre-loaded with A2 Technologies’ highly intuitive and easy to use Biodiesel Analysis Methods and software, accurately measure low level biodiesel concentrations in just one minute including sample introduction, measurement and clean-up. The TumblIR equipped PAL series will also accurately measure the common range of biodiesel blended fuels from B1 – B20, just as easily and quickly. This capability is important for companies that produce, receive or store biodiesel blended fuel. Companies that manufacture diesel powered generators or users that employ these generators will find PAL analyzers invaluable for ensuring proper equipment operation. These analyzers meet the requirements of the EN 14078 standard and can be configured with ATR sampling technology for those applications that are required to conform to the ASTM D 7371-07 standard. For more information on the A2 Technologies PAL Series, please contact A2 Technologies at +1 203.312.1100, email info@a2technologies.net or visit www.a2technologies.com. Headquartered in Danbury, Connecticut, A2 Technologies is taking FT-IR spectroscopy out of the lab and into the field. A2 Technologies manufacture and develop portable FT-IR spectrometers designed for the analytical needs of the petrochemical, environmental, metals and mining and general environments where there is a need for analysis. 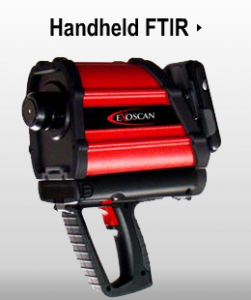 The portable FT-IR analyzers extend the proven capabilities of Fourier Transform infrared technology by rendering sample preparation obsolete and ensuring real time results. Landstar Corp www.landstarcorp.com LDSR Hubai Chuguan Corporation, an operating subsidiary of the issuer Land Star Corp today after the market closed announced that it intends to begin filing documents with the SEC towards becoming a reporting issuer. In other company news, Mark Li, CEO, President, Chairman of Land Star said “We wish to advise our shareholders that we are equally concerned about our share price and values that are reflected of our company. As previously announced we have filed our notice of intent on pink sheets (TAB under FILINGS) for our shareholders to view. Get the Facts Right. The issuer works hard to continue to keep our shareholders informed, and news is updated frequently via Press Releases, Pink Sheet filings (www.pinksheets.com), and updates to our websites. Other websites not sponsored, or recognized by the Company may provide misleading or disinformation to investors in order to manipulate trading patterns for a given stock. Always look for original content from trusted sources, rather than relying on ‘excerpts’ or discussion boards that may not give you the whole story. The Securities and Exchange Commission requires financial institutions or brokerage firms to provide their clients with documentation describing the risks of investing in penny stocks. Main businesses: storage, transportation, filtration and handling facilities of petrochemical products. TOTAL Chemicals has developed an IT approach to reduce safety concerns associated with the manufacture and storage of chemicals. The Total Chemicals operational team consists of experienced specialists from within the world of chemicals, blending, distribution and storage. Total have the ability to manufacture and store a wide variety of chemicals including dangerous goods with Registration Categories covering clauses 3 to 6 and 8 as well as non-hazardous goods, all under cover in dry storage. Within the chemical industry the ability to speak in a timely way with a suitably knowledgeable person in regard to chemical storage safety and planning issues has always been a problem with the potential for serious adverse outcomes. To meet this problem head-on Total employed internet consultants WebStation Australia to research the various options available. WebStation chose the proven GObookings AppointmentDiary V9 system to manage the situation automatically by way of online appointments. This solution allows the online customer to firstly select a product range and day; available times are then displayed reflecting the availability of the chemicals storage specialist consultants. Customer appointments are then made for a preferred time in an easy, seamless and user-friendly way. The outcome; the customer is able to book the ‘right’ consultant to telephone them at a time which suits with confirmation by email. The Total consultant then calls back at the appointed time. TOTAL Chemicals range of products include alcohols, chemical manufacturing, toll blending, flexographic solvents, hydrocarbons, oils, greases, lubricants, thinners, paint strippers, safety solvents, solvents, specialty chemicals and raw materials.